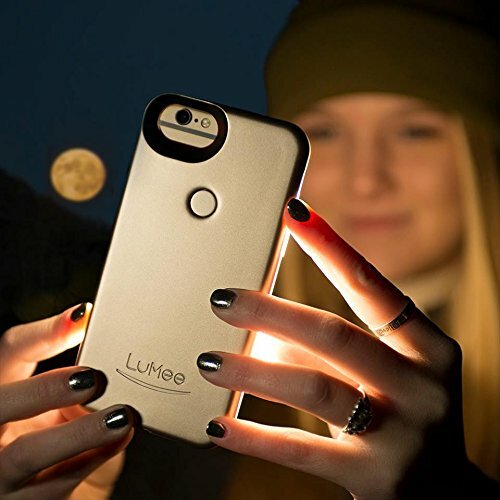 This LuMee case has dim-able lighting that helps light your face from the front instead of potentially washing you out like a flash can. 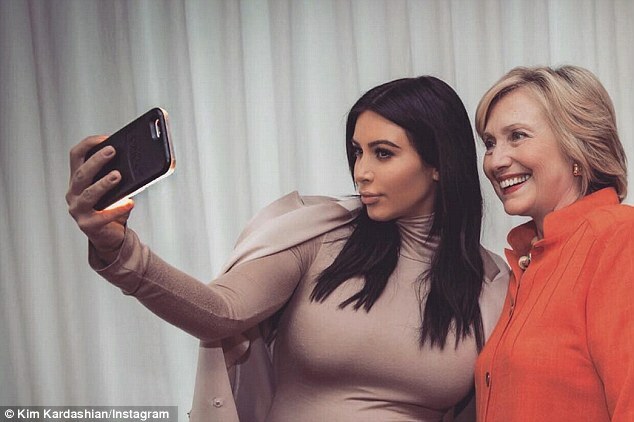 Of course Kim takes plenty of selfies with her iPhone front facing (your blurriest option) and back cameras, but when she gets those super crisp clear photos where her makeup looks incredible she is actually using a digital camera. 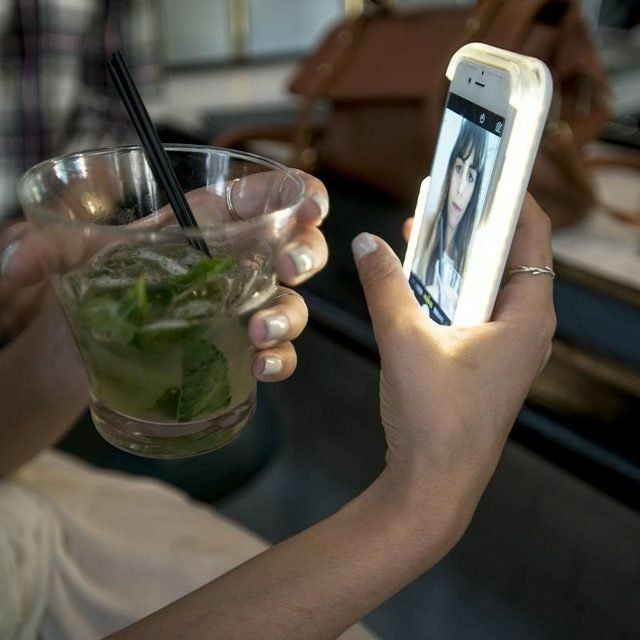 Wondering why your selfie never turns out like this? There’s no way this was taken on an iPhone! Kim and her sisters have been photographed before using Sony digital cameras which are every makeup guru’s absolute favorite. I’ve had my Sony a 5100 camera (just under $500) for almost a year now and it was an excellent purchase. The automatic color adjusting and beauty filter that smooths your skin are game changers. It also has a fantastic flash so it’s great at taking photos even in low light and at night. The preview screen on the back pops up and allows you to check yourself out while taking selfies. Before buying my camera I got a Canon T3i Rebel DSLR camera which is so big and bulky and I could never get the settings or the focus right. The Sony camera is so easy to use it’s just point and shoot. The best part about the Sony cameras is they have a special beauty filter on them that smooths and perfects your skin and really make your makeup pop. They have a wireless function so you can immediately transfer your pictures to your cell phone and upload them right away. They also have an absolutely amazing flash that works great when you don’t have enough light. 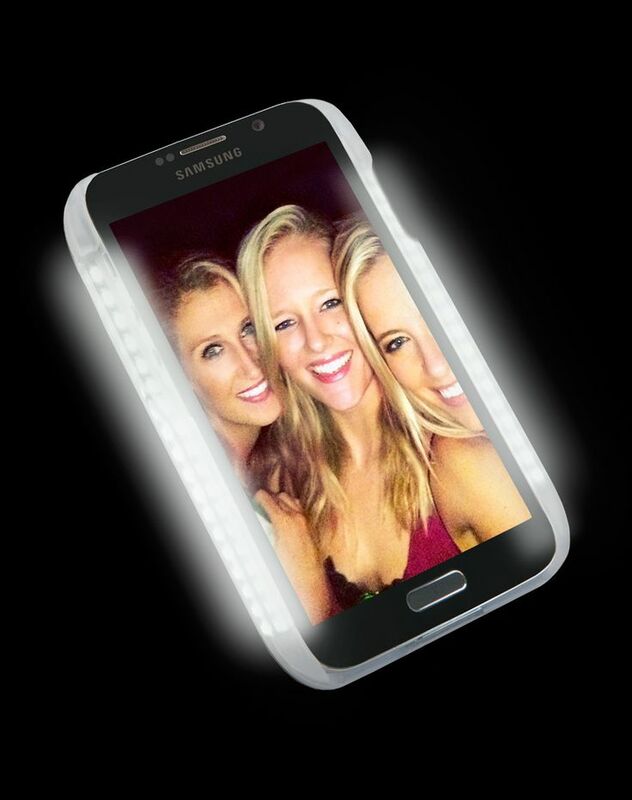 It’s also small enough that you can bring it out without looking like paparazzi. This is a picture of my sister and I that I took on the Sony A5100 indoors at night with the flash on. You see how you can actually SEE our makeup? We ain’t no Kim K, but the picture is nice and crisp and clear and yet smooth like Kim’s. For this pic I added a little Valencia filter, but I didn’t FaceTune it at all. I love me some FaceTune, but the beauty filter already did the work for me so no need to retouch! 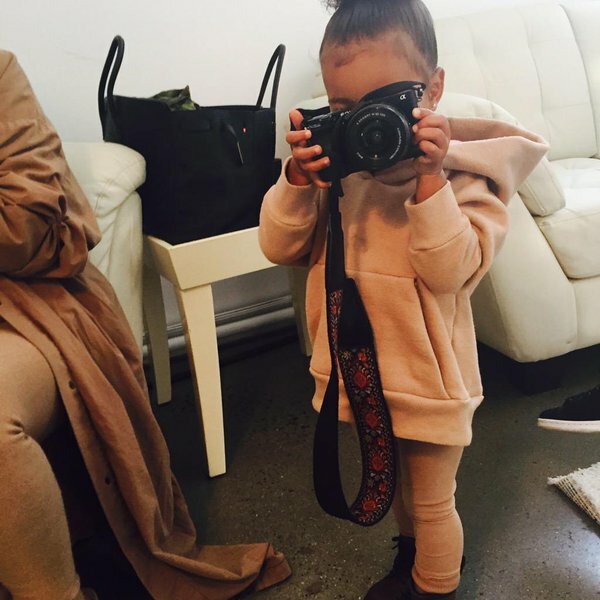 Her real secret is that North West takes all of her pictures. Just kidding, but this is lil Northie and she’s holding a Sony camera that looks exactly like mine or maybe like a Sony A 6000 camera. 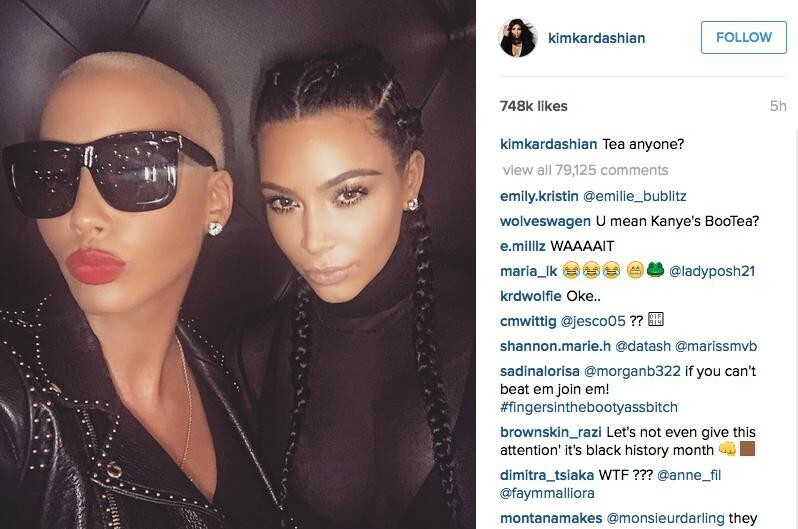 Also, don’t forget Kim Kardashian is rich as hell and has a pro makeup artist that beats her down I think daily at this point as well as a great plastic surgeon/dermatologist (the family goes to Epione in Beverly Hills). I don’t bring that up to throw shade, I’m just trying to remind all of us of the facts and that we can’t compare ourselves to her! 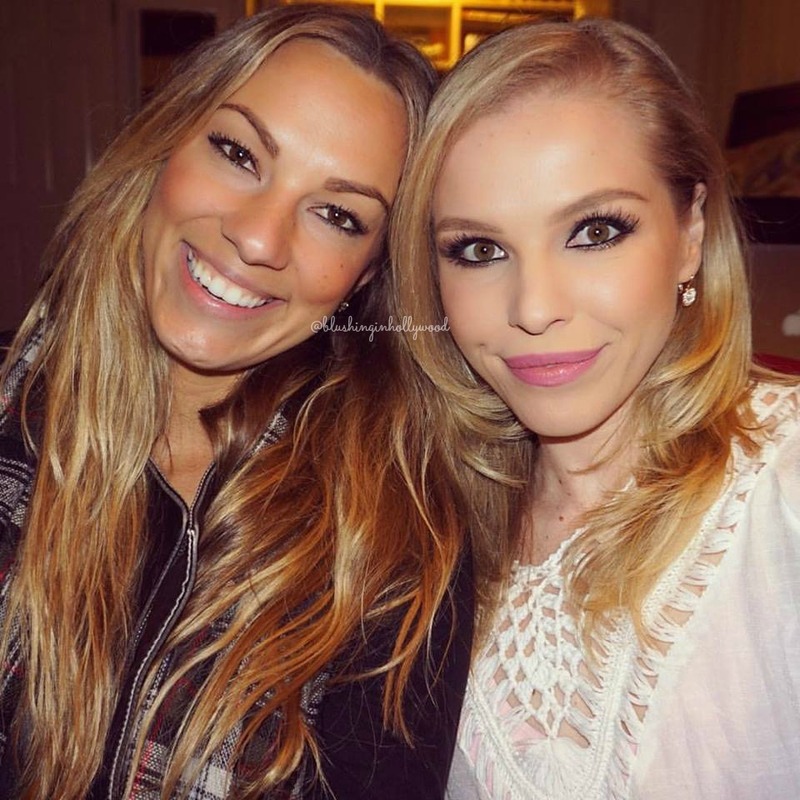 If you want to dream or try to do your makeup like hers, check out this post.